Everything except “you may be tempted to add your application folder to the AutoCAD support path so that Windows can find your dependent DLL. This is a Very Bad Idea – please don’t ever do it!” — is Greek to me…. but I totally agree with the part I understand! Thank you for this great topic Owen. It’s for me very usefull. Your sample works perfectly but what about unloading? 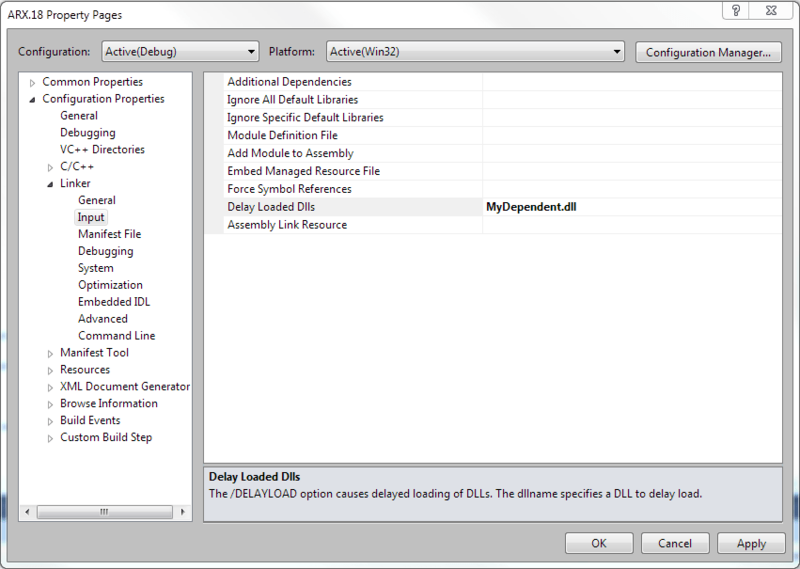 It seems that delay-loaded DLL are not unloaded implicitly. Where can I implicitly unload them? Explicitly Unloading a Delay-Loaded DLL.